Located on Playa de Flamingos beach in Riviera Nayarit, RIU Vallarta overlooks the Pacific Ocean creating stunning ocean views. 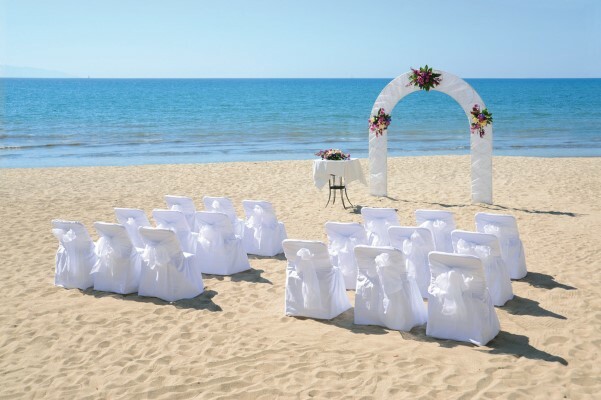 With palm trees surrounding the white art-deco style building, your RIU Vallarta wedding will shine effortlessly. Make your destination wedding as fun as you can imagine, as the resort provides you with the chance to experience a unique and natural environment, with the option to come into contact with dolphins, whales, and sea turtles! There are 2 pools with hydromassage areas and direct access to the beach, with a private beach area just for hotel guests. The resort offers a nightclub so guests can experience fun nightlife on-site. Take a romantic day trip and explore the nearby Cuale River Island and the Marieta Islands, known for their famous hidden beaches. The base price for this package is $2199. There is less expensive wedding package available for only the wedding couple for $1199. Upgraded packages, additional guests, and add-ons are available for an additional cost. Rooms range from $100 – $130 per person per night. Every room includes a minibar with snacks and a liquor dispenser. The junior suite room categories and higher include a hydromassage bathtub as well. Children ages 2 and younger stay free. There are 550 total guest rooms with some that offer ocean views. The buildings on the property stand no more than 9-stories high. 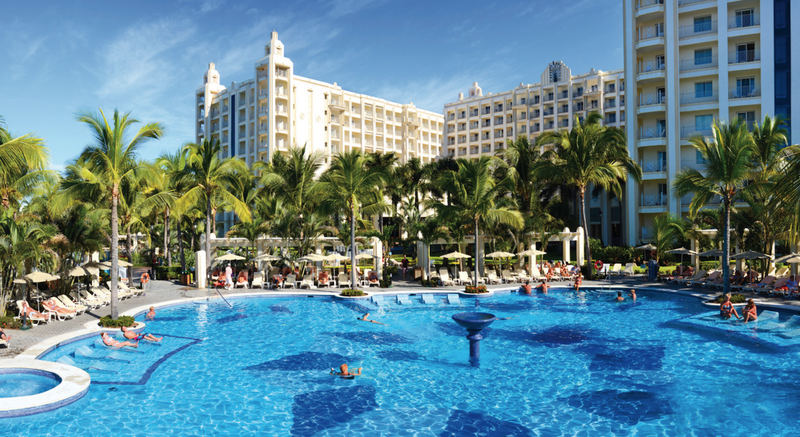 RIU Vallarta shares some daytime exchange privileges with a nearby RIU resort. Beach – 100 guests max, Gazebo – 15 guests max. All rooms allow up to 2 adults and 2 children max, or 3 adults max. The suite ocean view rooms are the only adults-only rooms with 2 adults max. Children are ages 12 and younger. The resort will host no more than 3 weddings per day, Monday thru Saturday. Ceremonies will be held between 12pm and 6pm. High-season months typically include January, April, June, July, August, November and December. It is always encouraged to have your guests book their stay 8 – 12 months in advance as the hotel can sell out during these months. The wedding coordinators typically respond within 72 hours. During the resort’s busy season, they may take longer. 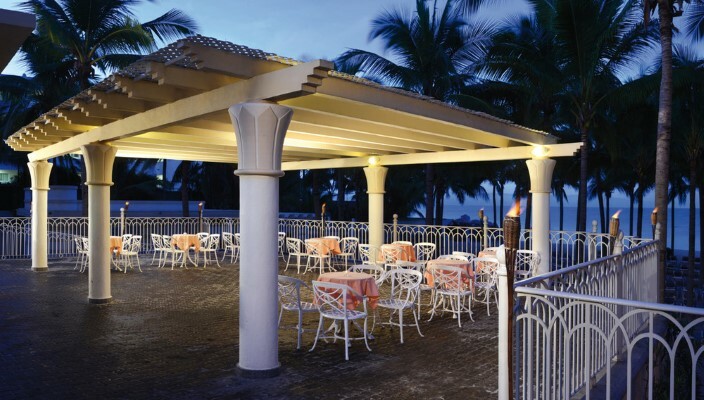 Hotel RIU Palace Vallarta is located 8 miles from the PVR airport. The resort is about 30 minutes outside of downtown Puerto Vallarta. A: My favorite part is the planning. I love to take all the ideas and make them match and work. My favorite moment is the bride’s walk down the aisle, when the Groom is waiting for her. Q: Can you tell us a time about when you saved the day for a bride? A: Once I had to move the setup by myself 1 hour before the ceremony, due to the rain. The wedding still went very well! 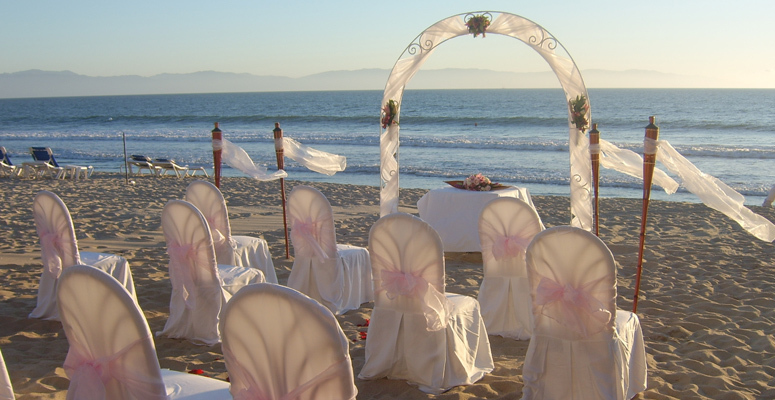 Q: What makes RIU Palace Vallarta such a great place for a destination wedding? A: The staff is really friendly and easy-going, they make you feel comfortable and special.